Had the opportunity to tell part of my animation journey in this special Animation issue of ImagineFX! Blown away to share the pages of this magazine with some incredible artists and animators like Pascal Campion, Randy Bishop and more. I was interviewed by Studio17 TV in their 'Coffee & Work' series about drawing at my favorite Cafe, Downtown Credo. My story starts around 1:40. Todd Bright is an Orlando base graphic designer, animator and illustrator. Of all the coffee shops in the city of Orlando Todd chooses DowntownCredo.com as his office away from his office. Find out why! The corner stone of every great neighborhood is a coffee shop. Had the opportunity to be on a team of veteran Disney Animators and artists to work on this Rough Animated spot. One of the more challenging and enjoyable projects I had this year. I was issued the Swing Dancing and the Wedding scenes. Beautiful work by Tom Bancroft, Tony Bancroft, Nik Ranieri, John Webber, Tom Labaff, and Paitoon Ratanasirintrawoot. Enjoy! Ok, this is fun:) Illustrations I did for the scavenger hunt at the Epcot Art Festival are limited edition pins this year! I've secretly always wanted to either design a pin or have one based off something I was a part of. Too cool! The festival starts in a few weeks! I'll also be returning to facilitate a Gesture Drawing Workshop, Animation 101 Workshop, and Plein Air Painting Workshops. GoIng to be a blast, hope to see you there! Matt always pushing the quality of his creations. Humble, intense, man bun. Drawn at my favorite cafe, Downtown Credo in College Park, FL. 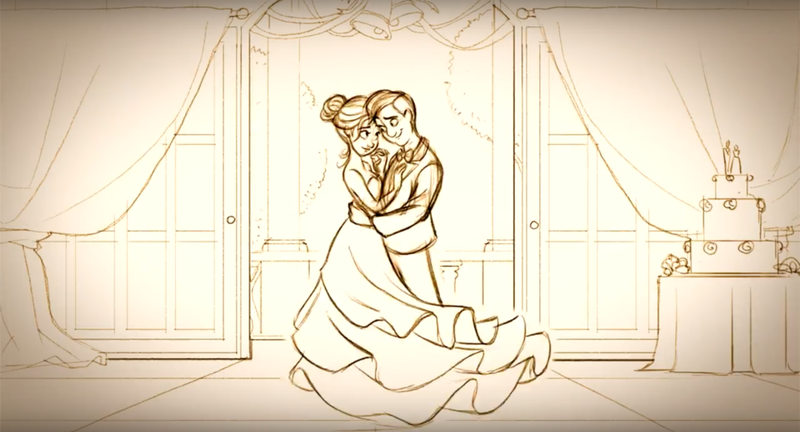 Produced: Storyboard, Animatics, Animation, and back ground illustration. Our team had a lot of fun working in this simple style. The Universal crew did a great job at the back story and design of the Waturi people, the founders of Volcano Bay! :) The theme park opens in a few weeks, it looks amazing! My Pug Rox. Food time.